Tuesday's series of deadly attacks on Brussels' airport and metro station, which have left more than two dozen dead and more than 170 injured, have drawn responses both heartfelt and hateful from people and communities throughout the world. Most of these responses, from world leaders and average people alike, have expressed sympathy and solidarity with the victims and the people of Belgium. U.S. President Barack Obama gave a speech Tuesday morning in which he declared that "we stand in solidarity with Belgium." U.K. Prime Minister David Cameron stated that he had reached out to Belgium's prime minister to "give our sympathies and our condolences to the Belgian people." Social media has been full of messages of support under the #JeSuisBrussels hashtag. Many leaders have also strongly condemned the attacks, with Britain's Sky News reporting that "[o]ne of Islam's leading institutions, Al Azhar, condemned the 'heinous' attacks as a violation of 'the tolerant teachings' of the religion." U.S. presidential hopefuls, including Hillary Clinton, Bernie Sanders, and John Kasich, have issued statements supporting the people of Belgium and vowing to fight terrorism through their own presidential platforms. As no suspects have been identified and no motive for the attack yet declared by officials (though an ISIS-affiliated website did claim responsibility for the attacks on behalf of the terrorist group), these outpourings of support and condemnations of indefensible acts make sense as the predominant responses. 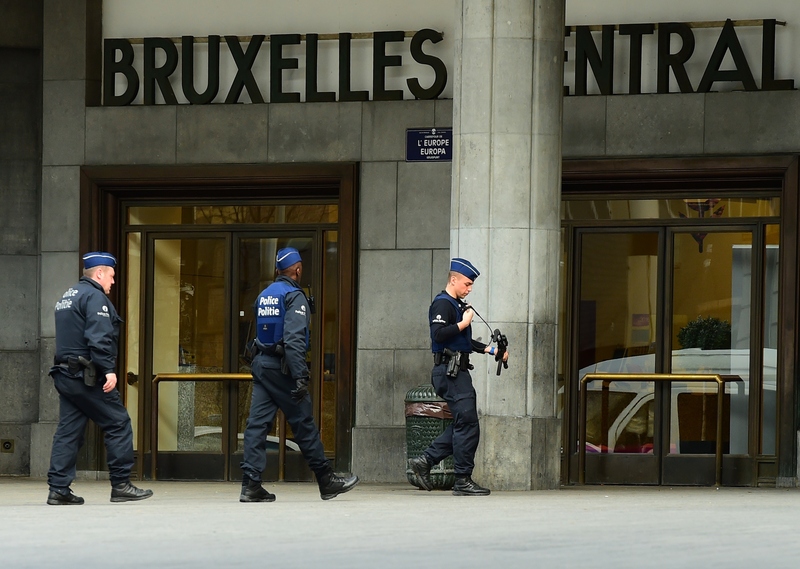 However, some have taken the attacks in Brussels as an opportunity to push an anti-immigration agenda. Republican presidential frontrunner Donald Trump is among those choosing to do so. On Tuesday morning, Trump both took to Twitter and appeared on television to express his own take on the attacks: He tied them to his own proposed immigration legislation in the United States, saying that as president he would “close up our borders … until we figure out what’s going on.” During his appearance on Today, Trump also said that he would support forms of torture, including waterboarding, as a tactic to get information to prevent future terrorist attacks on U.S. soil. Trump also told Fox & Friends on Tuesday that "It’s going to get worse and worse, because we are foolish, we are foolish ... We can’t allow these people, at this point, to come into the U.S."
Trump is not the only person to respond to the Brussels attacks in this way. Mike Hookem, a spokesman for the U.K.'s Independence Party, released a statement hours after the attack that declared the "horrific act of terrorism shows that Schengen free movement and lax border controls are a threat to our security.” The Guardian noted that Hookem "drew the link between terrorism and immigration despite there being no information in the public domain about the identity of the attackers, their origins or motives." "Good God, [terrorist organizations are] probably cutting videos of this right now ... Donald Trump right now is validating the cartoonish view that they tell their operatives ... that America is a racist nation, xenophobic, anti-Muslim, and that that's why you must carry out terrorist attacks against them ... It's irresponsible and it needs to stop." Of course, terrorists are responsible for their own actions. No amount of rhetoric can force a person to end another human life. However, comments like Trump's and Hookem's help reinforce an "us vs. them" dynamic that can lead people to discriminate against immigrants and refugees who have nothing to do with terrorists, out of fear. And as Nance noted, this dynamic can also feed the propaganda machines that help fuel terrorist organizations. Fear and concern are natural reactions when confronted with something as violent and baffling as a terrorist attack. But not rushing to conclusions is important — especially when those conclusions can have far-reaching implications for policy, and for people who have done nothing wrong at all.